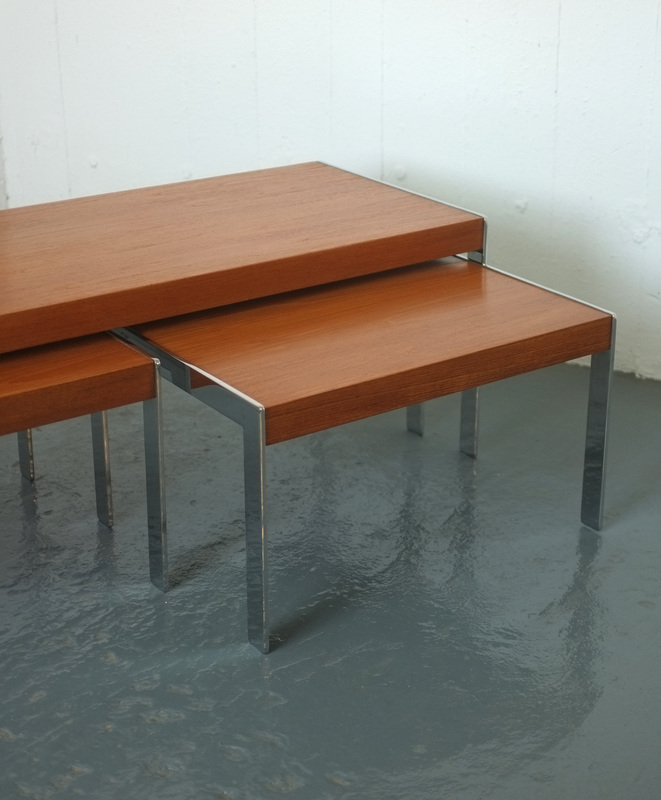 A set of model 336 nesting tables by Richard Young for Merrow Associates, circa 1970. 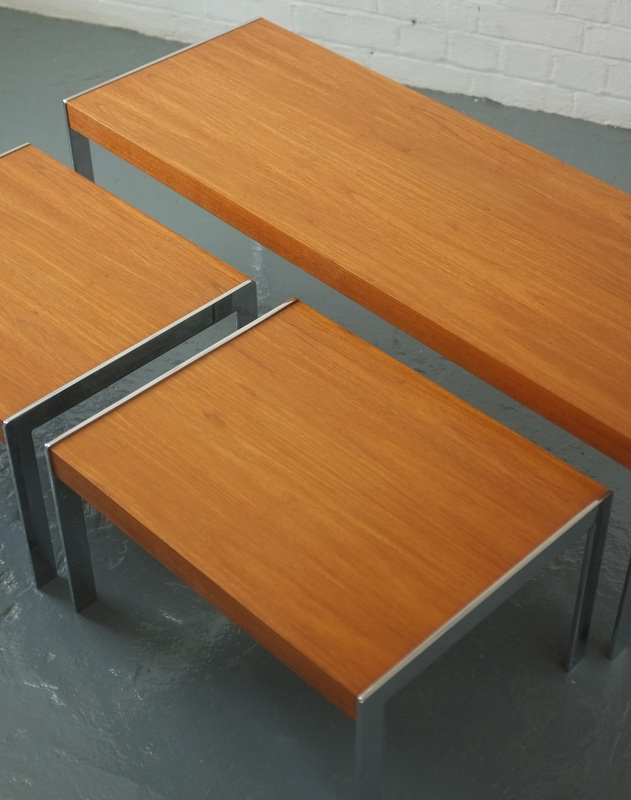 In excellent condition, clean shiny chrome with no pitting or flaking, the teak has been repolished. 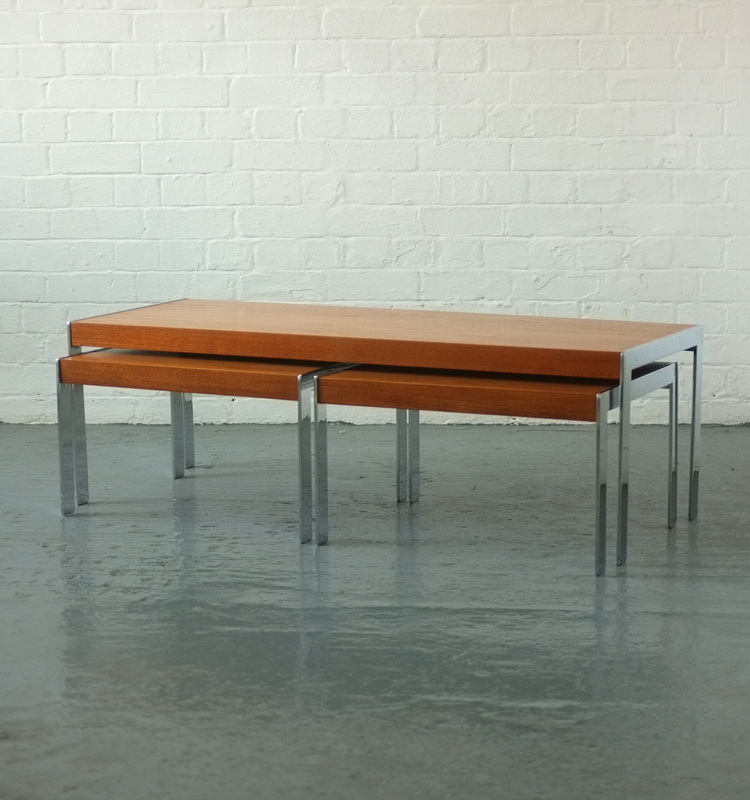 Dimensions: Large table: 38cm high x 124cm wide x 45cm deep. 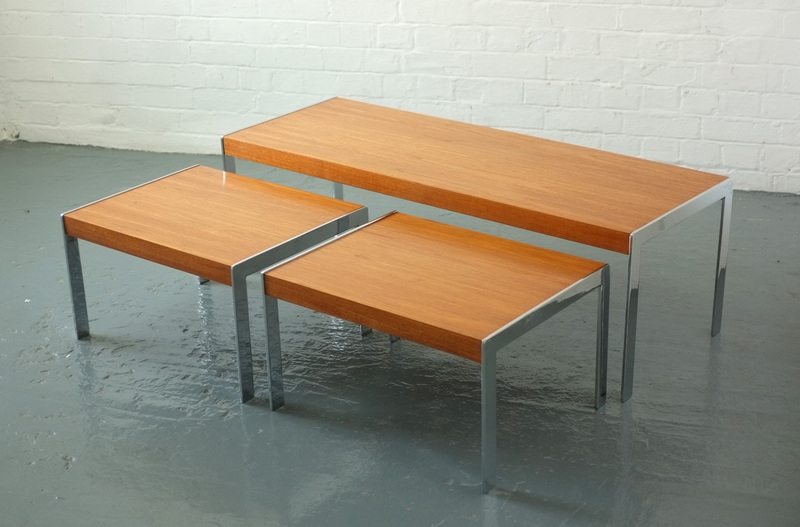 Small tables: 30cm high x 57cm wide x 45cm deep.